. : THE MAD HATTER PUB & PIZZARIA - Sea Bright :. Whoo-Hoo!!! It's summertime and you want to be DOWN THE SHORE. 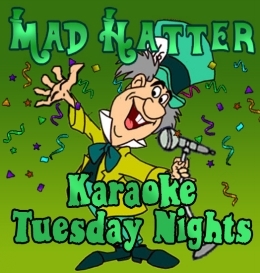 There's no better place to get your karaoke fix than at The Mad Hatter. Stop on by for a great time, and great pizza. Come be a part of it all and tell all of your friends. For a MAD good-time, Tuesday nights are IT and there's no other place you need to be. You're gonna love it!
. : ESCONDIDO’S - Freehold :. This is the place to party on a Wednesday night in Freehold. It’s always a great time here. 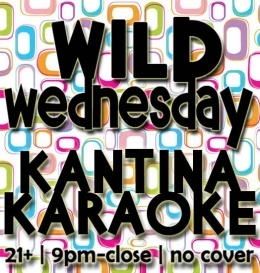 We call it KANTINA KARAOKE, all you have to do is be there to have a good time. We’ve got 1/2 off on appetizers and great 2 for 1 drink specials. Everyone is waiting for you so we can all get started partying. If you want a place to sit, better get here early!!! We’ll see you there.
.: BAKER’S American Bar and Grille - Monroe :. Great friends, great food and drink, all with your favorite tunes. Stop on my and hang out with the boys, or a girls night out. Make your requests and I'll play 'em all night long.
.: JR’s LOUNGE - Sheraton, Eatontown :. When you think about fun, you think about Friday night, and when you think about Friday night, you think about Flipside at JR’s. This is hands-down, the area’s best karaoke show. Come join the fun - you’ll flip for Flipside. More songs than you could possibly imagine, and the finest sound system around. You’ve never heard yourself sound this good. All you need to do is be there. Twice as much fun as you’ll have anyplace else. 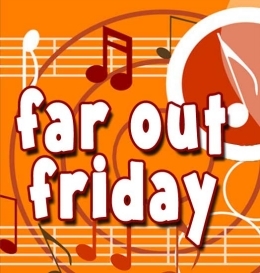 Have yourself a karaoke-packed weekend!!! 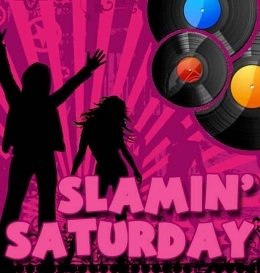 The theme song starts at 9:00pm and the fun runs all night long. This IS the place to be. It ain’t your run-of-the-mill karaoke. This is the kind of stuff you call and tell your friends about. You’ll have such a blast, you’ll be addicted for sure. So come on in and give it a try. We bet you’ll come back for more!! !